Photography is a visual documentation of time. 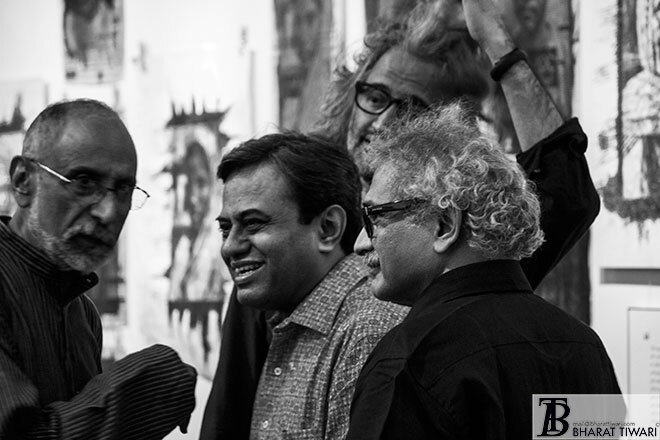 It's an art that appeals to everyone but a mere photo click can't be art, one has to learn it with thorough dedication. 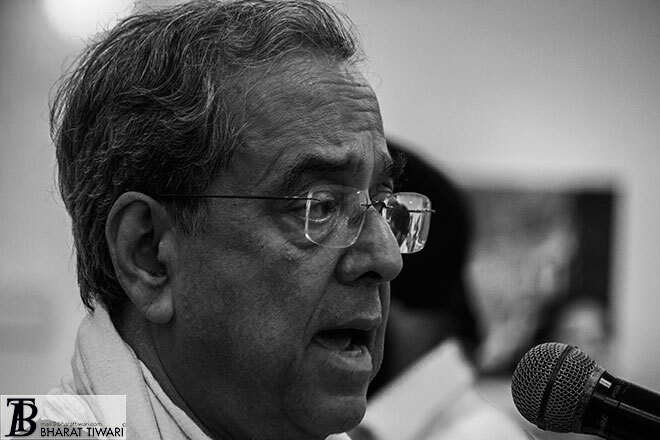 Couple of years back someone told me, "Till you've clicked your first ten thousand photographs don't even think that you are a photographer", I felt awkward but now I know even a zero or two added in 10,000 can't make one a photographer less one is blessed with 'the eye' and ‘a guru’. Talking about gurus, the scene worldwide, is not at all encouraging when it comes to teaching photography to young artists. Unfortunately the high fee charged by teachers, is making this art unreachable to many, depriving them and world of art both from a documentation that should’ve been done. 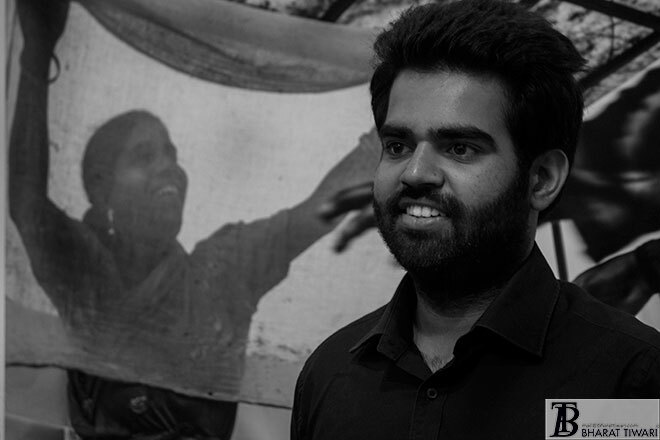 Fortunately, in the meantime, there are sober people like Aditya Arya of ‘India Photo Archive Foundation‘ who are here, who know the importance of becoming accessible to those for whom it’s otherwise not easy. 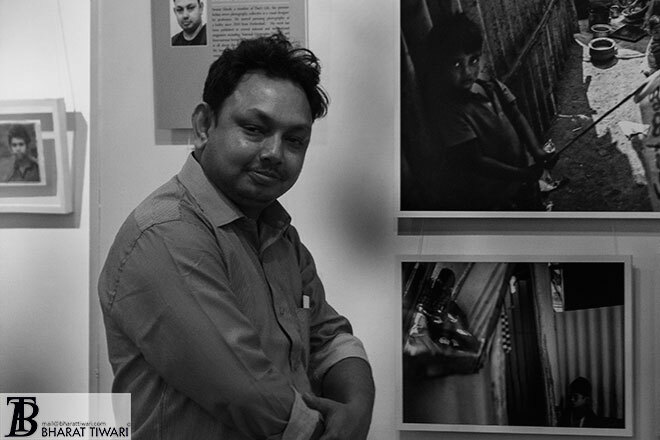 I could see it in the eyes of Swarat Ghosh, when he came to me asking “Did you like my work… I saw you taking photo of them”. A wonderful essay of rag-pickers by him made me stand and watch the life go by. The smiling hearts of photographer’s chosen for this project was telling me ‘we have arrived’! Not only their eyes communicating this but it was visible and audible from people present at the opening of the exhibition among whom were Ashok Khosla, co-chair of the United Nations Environment Programme’s International Resource Panel sporting a shawl made of recycled coke plastic, Professor Rajeev Lochan, Director of the National Gallery of Modern Art (NGMA) New Delhi, Parthiv Shah, photographer who as a jury selected and edited images for catalogue and the show, Bandeep Singh, Prabir Purkayastha , Vidya Shah, Dipankar Gupta, Harmala, Singh Samar Singh Jodha and Asha Rani Mathur, to name a few. 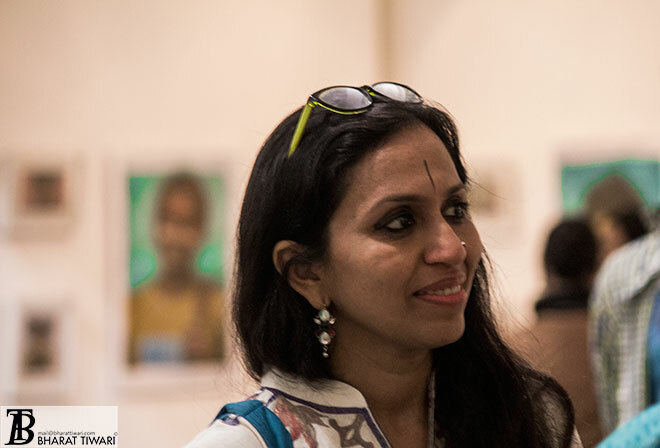 One last thing… I think I was making my third round (smile) of the show when the idea of capturing the artists’ with their work/smile/happiness/enthusiasm stuck me and when I asked them to pose they were like all of us… feeling shy on camera. 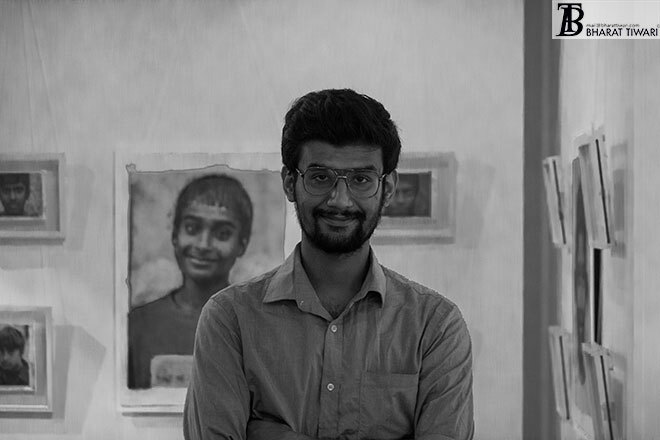 Here's the jury Parthiv Shah's analysis of the photographers chosen for project under the aegis of Neel Dongre Awards/Grants for Excellence in Photography (2016), a project aiming to providing a visual interpretation of the World of Recycle & Waste Management. In our part of world we had very little material resources and our ancient culture always believed in reincarnation and that we brought in day to day practice. In India even now a Saree becomes a cradle which becomes a quilt and turns in to a mop and sometime even a wick of lamp! Recycling is not new to us but when western technology and material has taken over our lifestyle it is but natural that we have to think differently. One can see in local haat (weekly bazaar) of village bags and spice boxes made out of oil containers, hand-fans made out of tobacco gutaka pouches, rubber chappals made of truck tires etc. Recycling is a hard and dirty job, mostly carried out by the lowest strata of society. To document these people and their work in camera is a real daunting task. This year nine young photographers have approached this subject in a very unique way. Some have concentrated on the human aspect while some have captured the visual play. Exploring ‘the second hand cloth market’ and the exhaustive daily routines of the Gujarat’s Waghari tribe, Cheena Kapoor’s photographs reveal a world of congestion and disarray, but one that solves a crisis of recycle as well as necessity. It is through the stark colours of a variety of clothing set amidst a background of temporariness that the camera captures the noise and bustle of the market. Manu Yadav’s visual account of rag-pickers at Connaught Place, is a call to confront and notice. In one of Delhi’s most posh areas, a community of scavengers lives a life of depravity induced by destitution. On the other hand there are initiatives like ‘Gulmeher’ that have brought together a community of women rag-pickers to recycle waste from ‘Gazipur Flower market’ into handmade crafts. While the two series offer a visual commentary on two separate setups, the contrast in terms of theme also unfolds the affects of abandonment and support. 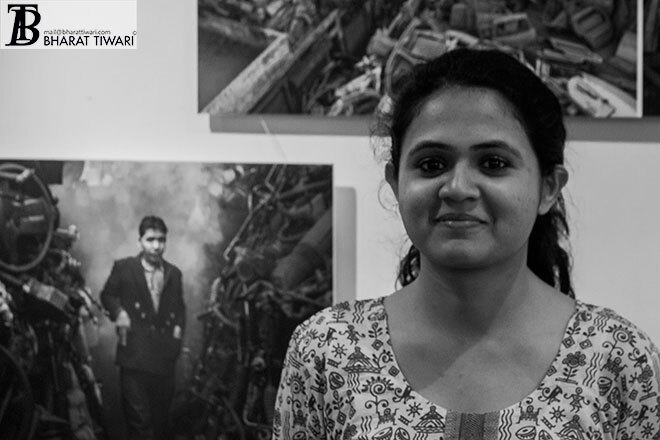 Monica Tiwari’s Dust is work of irony, the candidness captured by the camera stands in striking contrast to the harsh realities of the occupational hazards, the lack of basic infrastructure and education. The children at the landfill occupy the frames, and the sentiment that plays out in its characteristic loud refrain is that of a practiced indifference. Landfills and garbage dumps have been shot by hundreds of photographers across the world and it is quite a challenge for any photographer to humanise this landscape. Children in all her frames remind in a way of the unfairness of policy measures that turn these landscapes of ‘dust and garbage’ into compromising means of survival. The ‘Kabadiwallas of Jungpura’ by Rahul Sharma brings to the fore the idea of agency, the inherent bias of a photographic dialogue with the underprivileged . The hand painted portraits in a range of formats from 35mm, 4x5, digital, to 8x10 using a combination of film and paper negatives, surprise with their colours and the choice of eliminating the background setting. The Mayapuri Junkyard by Saumya Khandelwal documents the cycle of the process. We do not see the so much the people involved but the omnipresence of scrap is overwhelming. Each diptych denotes a visual quirk, and the juxtapositions narrate the lack of organised support and the will to ‘make-do’ with what is available. 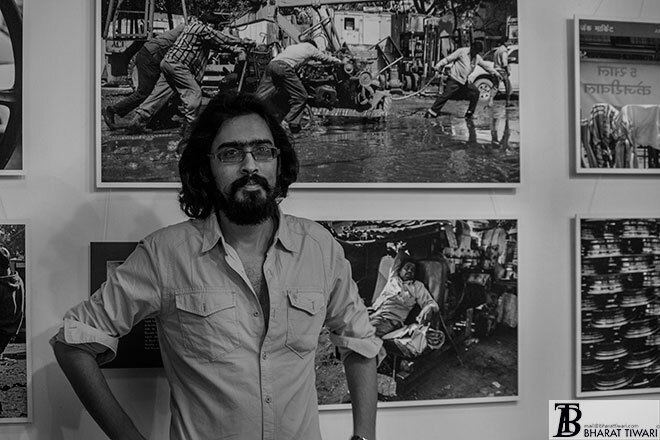 In a similar vein, Siddharth Behl captures the lives of workers at a construction and demolition recycle firm in Burari. The mechanical landscapes sweep over the efforts and hardships of labor. The children with their jugaad paraphernalia playing amidst a deserted field ironically underline the priorities of gentrification, and the cost of the same on the lower strata of society. The desolation of the setting subtly invokes the marginalisation faced by working classes. 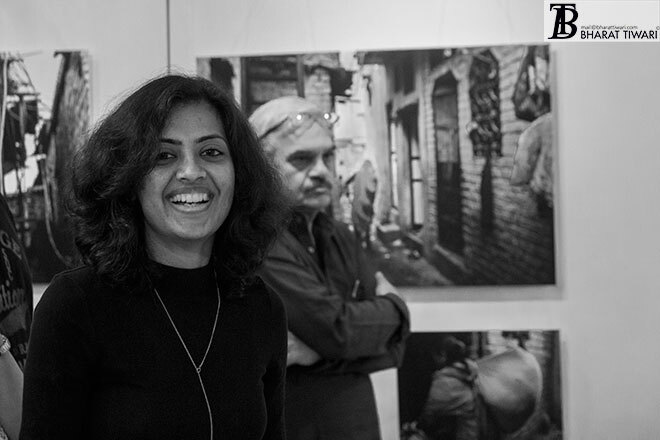 Shweta Pandey’s series on ‘rag-pickers’ in Gurgaon dispenses with the habitus, focussing instead on the portrait photography. The attempt invokes the ethical contradictions of such close encounters: how apt the portraits are to capture their social existence? Form and content blend together interestingly in her use of old-dailies as a print medium. Sreedeep’s visual foray into the automobile Junk Market delineates the ‘every day rituals’ among the scrap dealers. Between rest and work, the community unfolds through its routines. 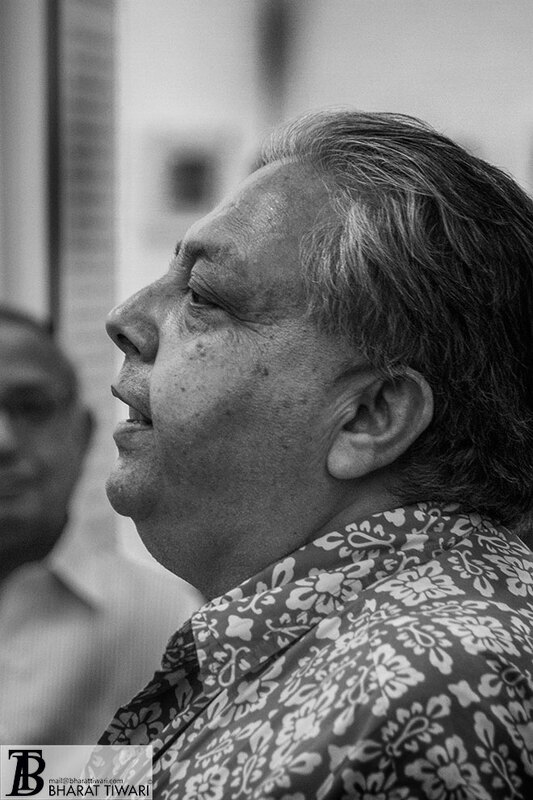 Sreedeep’s camera not only brings out the mundane but also manages the capture the compassion within the community. 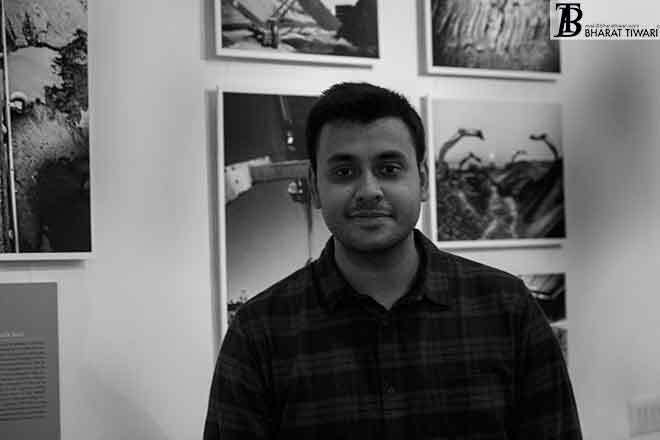 Beginning with the sprawling landfills, Swarat Ghosh’s focus shifts to more personalised narratives within the living quarters of ‘rag-picking’ community’ in Bholakpur and BK Guda Basti. From the households to the neighbour, the photographs offer subtle hints into the affects of marginalisation. The present series is a testimony to the idea of ‘Public Secret’- something that is known, but fails meaningful articulation. 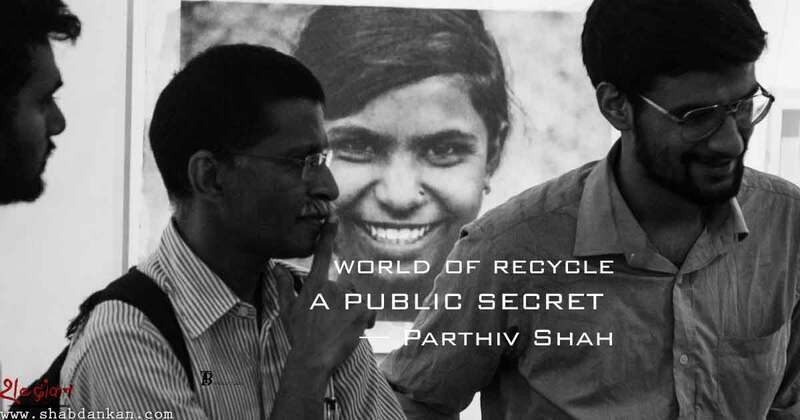 The stories of waste recycling in India do not constitute a narrative that is new but a narrative that has been abandoned to a culture of compromise. 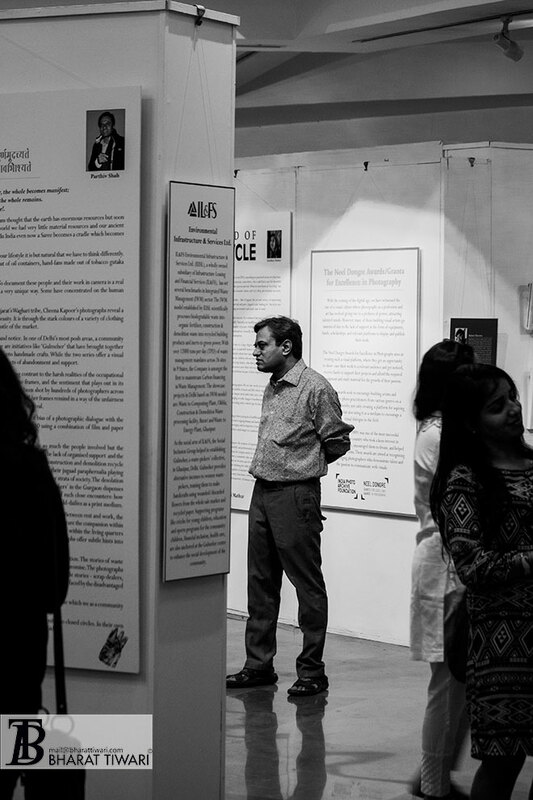 The photographs in the series provide for a humane exposition of the issues concerning waste management in India. 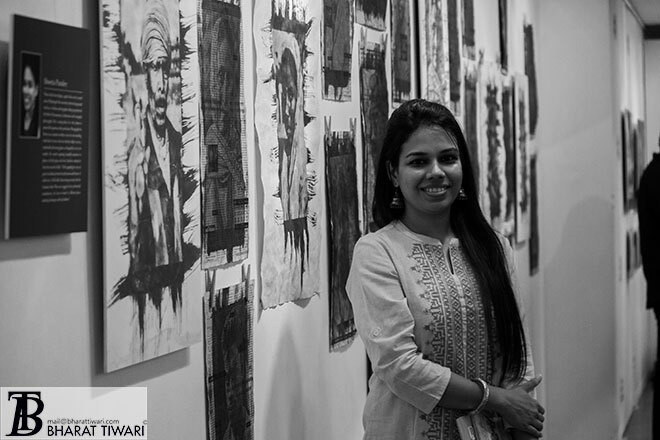 Covering multiple stories - scrap-dealers, construction waste, rag-pickers, recycled handicrafts and second hand markets - these works highlight the marginalisation faced by the disadvantaged and the layered narratives within. It is good to know that the platform through this series is contributing to the mainstreaming of a marginal public issue which we as a community have been dedicated to over the years. These photographs shall hopefully bring more voices and greater interest to the discourse that is mostly limited to closed circles. In their own ways they are attempts at articulation, of these many encounters with the ‘invisible’, that are generally avoided.